If I’m arrested for DUI in Tennessee, how long should I wait before hire a lawyer? It’s important to get started with the process of hiring an attorney as soon as possible – otherwise, you risk the possibility of losing your Tennessee Driver’s License and vital evidence required to win your DUI case. You really want to hire a lawyer experienced in DUI cases early on to thoroughly examine and evaluate your DUI arrest. The sooner you find a DUI lawyer to extensively evaluate your situation, the better your chance of winning your case. Should I represent myself for a DUI? Absolutely not. DUI is a criminal offense in Tennessee; it is NOT a traffic offense. A lot of people think that they can go into a court of law and act as their own attorney; proof has shown, time and again, that they are taken advantage of and end up far worse than if they have an experienced attorney representing them. Reasons you should not represent yourself include 1) you are not an attorney, 2) you do not know the Tennessee DUI laws, and 3) you have no idea what is fair and reasonable under the circumstances of your DUI arrest. The State has to prove your guilt beyond a reasonable doubt and to a moral certainty. This is a very high level of proof that cannot be attained without significant evidence. DUI lawyers know the Tennessee DUI laws and have the experience to enter into plea bargaining to reduce your DUI charge or prepare your case for trial. Also, everything you say can and WILL be used against you, even if you are representing yourself and talking to the district attorney. Won’t Tennessee courts just reduce my DUI charge to Reckless Driving? No. Unfortunately, many people are under the assumption that, in Tennessee, a person charged with a DUI can have the charge “reduced to Reckless Driving” if it is their first DUI. Some people will waltz into court without a DUI lawyer expecting a Reckless Driving, and find that the judge is making them enter a plea to DUI. Only an experienced DUI attorney can get a DUI charge reduced. If there are errors, omissions, or mistakes in the DUI paperwork, a DUI lawyer can often plea bargain a DUI case to a different criminal charge, i.e. Reckless Driving or Reckless Endangerment. Hiring an experienced DUI attorney right after arrest to conduct a thorough investigation into your case substantially increases the opportunity to reduce a DUI to Reckless Driving. Should I hire A Tennessee DUI lawyer? Yes. Having a DUI attorney represent you from the beginning gives the prosecuting attorney the impression that you are taking your case seriously. Hire an experienced DUI attorney right after the arrest to permit proper investigation into 1) the probable cause of the stop, 2) administration of the Field Sobriety Tests (FSTs), and 3) validity of the Blood Alcohol Concentration (BAC) test. Hiring a lawyer early in the case gives the attorney the opportunity to get all documentation to prepare for your DUI defense, i.e. the arrest report, DUI form, and affidavit of complaint in the criminal warrant. Having an experienced DUI attorney from the start significantly increases your chances of beating the DUI charge. Can I continue to drive my car after I have been arrested for DUI? Yes. In Tennessee, there is no administrative suspension of your driver’s license, and you can drive until a judge has issued an order suspending your license. Therefore, it is acceptable for you to continue to drive while your DUI case is pending in Tennessee. Generally speaking, your driver’s license is not affected until the DUI court case is over. If you plead guilty or are found guilty after trial to DUI or Implied Consent, the judge must suspend your driver’s license for a minimum of one (1) year; however, under certain circumstances, you can get a restricted driver’s license for work and school. Will a DUI charge affect my Commercial Driver’s License (CDL)? YES. If you are charged with DUI 1st Offense, your CDL will be suspended for one year. If you’re charged with DUI 2nd Offense, you can no longer hold a CDL for as long as you live. Finally, if you hold a CDL, there is no restricted license for a CDL. If I plead guilty to DUI, will I have to go to jail? A DUI attorney experienced in TN DUI laws will be able to thoroughly investigate your case and develop defenses to your Tennessee DUI. Additionally, your Tennessee DUI lawyer will attempt to plea bargain your DUI case to another charge, i.e. Reckless Driving, and avoid jail time and loss of driver’s license. Is a DUI a Felony or Misdemeanor in Tennessee? If the DUI arrest is DUI 1st Offense, DUI 2nd Offense, or DUI 3rd Offense, then the DUI charge is a misdemeanor under Tennessee DUI law. However, for DUI 4th Offense and greater, the offense is a felony under Tennessee DUI law. Additional felony charges are available under Tennessee criminal law related to alcohol, i.e. vehicular assault, vehicular homicide, and child endangerment. I was not read my rights. Will my DUI case be dismissed? No. Failure to give Miranda Warnings does not, in and of itself, give rise to dismissal of a DUI case. Generally speaking, the Miranda Rights do not come into play until a person is questioned by police officers while in custody. With that said, it is possible to get certain statements made to police officers excluded. Talk to an experienced DUI attorney to determine whether your statements to the arresting officer were made in violation of Miranda warnings. Anything you said to your arresting officer without Miranda warnings cannot be used as evidence in court. A good criminal lawyer can effectively suppress your statements if there was a Miranda violation. Do I have to do the Field Sobriety Tests (SFTs)? No. You are NOT required to participate in Field sobriety tests, or FST’s as they are commonly referred to, under Tennessee DUI law. The moment a police officer pulls you over, the officer is collecting evidence against you to use in court that you are under the influence of alcohol and/or drugs. There are three (3) standard field sobriety tests used in Tennessee: 1) horizontal gaze nystagmus, 2) one-leg stand, and 3) walk and turn. These FSTs are divided attention tests designed for failure if a person is under the influence of alcohol and/or drugs. If you take these voluntary tests and do poorly, the chances of winning your DUI case is unlikely. Additionally, there is no legal duty for a police officer to advice you of this your right to refuse the FSTs. Do the Field Sobriety Tests (FSTs) accurately prove DUI? Can I legally refuse the Breath Test/Blood Test? Yes; however, there are consequences for refusal to submit a sample for testing your Blood Alcohol Concentration (BAC) to determine alcohol in your system. In Tennessee, it is a privilege to have a driver’s license; therefore, for this privilege, you agree to submit a sample for BAC testing if requested by a law enforcement officer. While you have a right as a criminal defendant NOT to give a sample for BAC determination, failure to provide a sample is a violation of Tennessee Implied Consent Law. It’s important to be cautious in making the determination of whether to submit to a BAC test or not because refusing to provide a sample can cause your driver’s license to be suspended under the Implied Consent Law for 1 year. DUI lawyers generally advise clients NOT to submit to BAC testing if they are extremely intoxicated; an Implied Consent violation does not involve mandatory jail time and fine as required for a DUI conviction. Can I talk to my DUI lawyer before agreeing to a BAC test? No. Currently, under Tennessee DUI law, if you are pulled over and an officer asks you to submit to a chemical test to determine your Blood Alcohol Concentration (BAC), you do not have the right to the advice of a DUI lawyer prior to submitting a sample for the test. This law is based on old case law when few people had cell phones and you could only find a DUI lawyer in a phone book. Now, when almost everyone has a cell phone and can Google DUI Attorney in Nashville, a court could rule that a police officer’s failure to allow a quick phone call to a DUI lawyer for advice prior to submitting a sample could lead to exclusion of the BAC result. Can I get my own Blood Alcohol Concentration (BAC) test? Yes. If you are pulled over for DUI, the police officer chooses the BAC test; however, you are allowed to request a separate test, at your own expense. Failure of the police officer to allow you to obtain your own BAC result could lead in exclusion of the BAC obtained by the officer. Interestingly enough, the police officer is not required to tell you that you can obtain your own BAC, nor is the officer required to give you any information regarding where you can obtain your own BAC. What is a Tennessee Implied Consent Violation? A Tennessee Implied Consent Violation simply means that you were stopped by police, you were requested to submit a sample for Blood Alcohol Concentration (BAC), and you refused to provide a sample for chemical testing. Violation of the Tennessee Implied Consent Law results in the suspension of your driver’s license for a period of one year. You can be charged with both DUI and Implied Consent if the police officer suspects you are guilty of DUI without having the BAC results. DWI/DUI, historically, were interchangeable. In Tennessee, the distinction between DWI and DUI is based on the age of the person arrested. A DWI in Tennessee refers to drivers under the age of twenty one (21), and is also known in Tennessee as Underage DWI. How long will DUI charge stay on my criminal record if I plead guilty? For the rest of your life. Once you plead guilty to a DUI, it becomes a permanent conviction on your criminal record. Currently, Tennessee DUI charges can never be taken off of your criminal record. 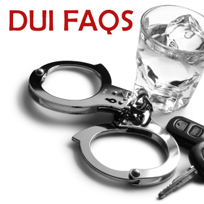 Tennessee law does permit DUI charges that were dismissed and some substitute charges, i.e. Reckless Endangerment, to be erased or expunged from a criminal record. You should only plead guilty to a DUI after an experienced DUI attorney has reviewed your case and the proof is substantial.